Your morning can be that make-or-break time that sets you up for a good day or a bad day. Here are 11 habits you can establish that will put you on the path of stringing together good day after good day. You want the water to be warm so that it’s not a shock to your system first thing in the morning. 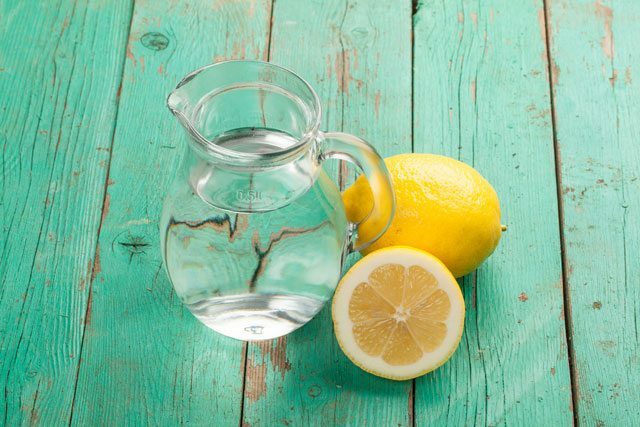 The lemon will help get your digestive system ready for the coming meals, and makes the water tastier. You can add a bit of honey to it as well if you want to cut down on some of the tartness. When you wake up in the morning you’ve just gone without water for about 8 hours, so it’s important to turn things around and start up the flow of water again. What you don’t want to do is leave out the water and go along with your day, having breakfast and other beverages before addressing your need for water. This is priority one because in order to fit in a fantastic morning you’re going to need some extra time compared to your current routine. If you’ve turned into a night owl because of the peace and quiet it affords, you’ll be equally satisfied by the same peace and quiet an early morning provides, and it’s simply a matter of shifting your personal time to the wee hours of the morning rather than late at night. The difference to your body is noticeable. Taking time to scrape your tongue is one morning routine you won’t want to give up once you start it. It helps get rid of morning breath, and also is in line with the rejuvenation process you need to do to make the transition from sleep to wakefulness each day. As a bonus you’ll be able to taste your food better without the film that’s on your tongue even after brushing your teeth. Some toothbrushes come with a built-in scraper on the back of the head. If yours doesn’t have one you’ll want to invest in one. You can find some that are literally just a plastic triangle-shaped scraper, and others that feature special bristles that are designed to get into the grooves of your tongue. You can also go with the type that is stainless steel and U-shaped to get the job done. Here’s a great 5 minute stretch that you can do in the morning to wake your muscles up and get them ready for the day ahead. You should always modify any workout to your own abilities, and search until you find one that resonates with you. How Long Do I Have to Stretch? When first starting out it doesn’t matter how long you stretch, just as long as you do it. If you only have a few minutes for it, just do a few minutes. You’ll find that as you develop the habit, you’ll end up stretching for longer periods of time, and it will naturally expand on its own without the need to force yourself to do it for a set time. Rebounding on a mini-trampoline is the perfect morning exercise. It’s zero impact, and perfect for any physical fitness level. You don’t even have to get any air on it for it to be effective. Just lightly bouncing on it is effective for stimulating lymph movement and drainage as well as helping your thyroid. You can repeat this process a few times per day, whenever you feel like you need a pick-me-up. It helps keep you energized without the use of energy drinks or other sugary or caffeinated beverages. You’ll notice that when you first start bouncing you’re kind of going with the flow, but by the time you hit your 100th bounce your body has tightened up considerably, in a good way. This is working each muscle in your body, your leg muscles, core, and upper body. A great way to start the day, get your juices flowing, and just plain feel good! Dry brushing the body is an Ayurvedic practice that helps improve your circulation and slough off dead skin cells. Brushing towards your heart is essential, and you’ll want to start at your extremities and work your way in, covering all of your parts before hopping in the shower. Dry brushing will help leave your skin feeling smoother, and you’ll notice the difference after you’ve dried off. Apply a moisturizer afterward to retain that suppleness. Choose a brush that is good at exfoliating, but not one that is so rough you don’t look forward to using it. A dry loofah or other brush designed to scrub the skin works best. 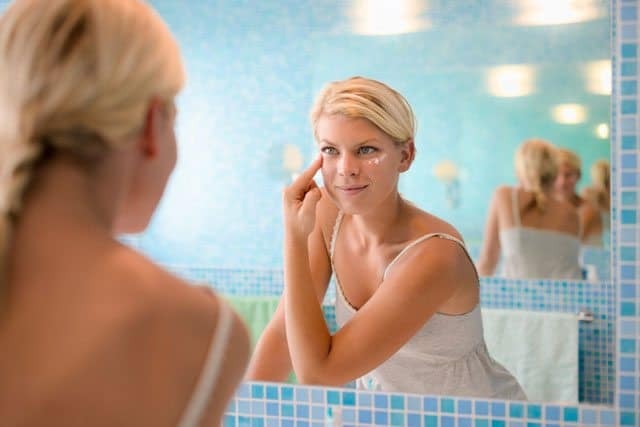 You don’t want it to be too soft on your skin or it won’t do the job, but if you opt for a softer brush you can apply more pressure so that it works. Starting your morning with music you find beautiful, or a book you find inspirational or motivational, is the perfect way to set yourself up for success. It can give you something to look forward to in the morning, and sets you up with the right mindset to greet the day. 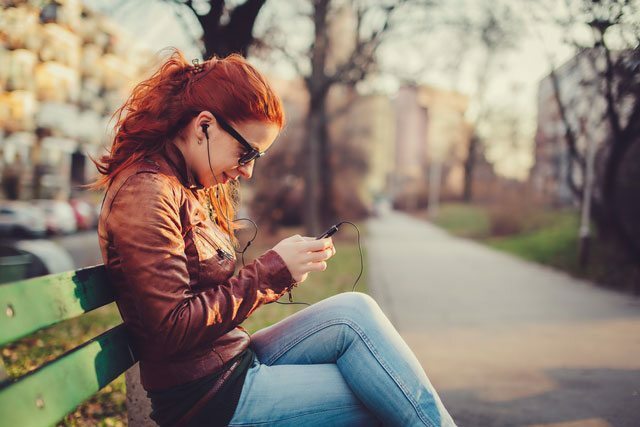 You can adjust your music for the type of day you want to have, whether you need something that gets you pumped for an action-packed day, or something more soothing so you can handle a stressful day. The mind is hungry for new tidbits of information it can go to work on, and you should feed it every day, the same way you feed your body. Whether you pick a group of songs, or an audiobook that inspires you, is up to you. Choose your songs carefully though, as they can get stuck in your head, and if this sort of thing drives you crazy you might be better off listening to a book. Now that we’ve woken up with the sun, brushed our teeth and scraped our tongue, rehydrated, stretched, rebounded, dry brushed the skin, showered while listening to pleasing music, it’s time to nourish the body with a refreshing green smoothie. The green part of the smoothie is what’s really going to help boost your energy levels this morning. That’s because it will likely be spinach, kale, or some other leafy green providing phytonutrients, fiber, and minerals. Set a timer for 30 minutes after you drink it and notice how much better you feel. Check out our list of amazing healthy smoothie recipes and pick the one that sounds most appealing to your morning palate. Just about any non-green smoothie can be made green with the addition of spinach or kale. You don’t need to go into a trance or spend an hour in the lotus position to meditate. You can get the benefits from just a few minutes and you’ll see a marked improvement in the upward trend your days start to take. We’re being intentionally vague here because “a few” can mean whatever it means to you, and however you feel in the moment (or what the clock allows in the morning). This is a can’t-miss way to boost your self esteem, and once you get into the habit you’ll wonder how you ever got along without it. It’s basically just a matter of designating some time as true “me time” and seeing a happy you reflected back in the mirror. Make sure you’re smiling, it doesn’t have to be a big goofy grin, just the hint of a smile works, like you’ve got some tricks up your sleeve and you’re ready to show the world what you can do. You’ll be surprised at the positive thoughts this exercise inspires. What you’re doing here is basically checking in with yourself, giving yourself that look of determination that you’ll need to make it through the day and accomplish all of your goals. No matter what happens the rest of the day, you’ve at least said hello to that deeper part of yourself and given words of encouragement. If you lead a busy life chances are things fall through the cracks on a daily basis. To help stop this from happening you should list the three things you really want to get done today, and above all else, make sure they get done. Once you establish the habit of getting the most important three things of the day done, you’ll be able to build up confidence and go for bigger and bigger things. A funny thing also happens, all of the smaller stuff that you thought needed to get done either does get done without being on your list of three, or fades away because it wasn’t that important to begin with. If you start getting carried away and adding more than three, you’ll find you won’t get to the fourth and fifth and so on, and then you’ll get discouraged. Force yourself to come up with three good ones, even if your day is largely unstructured. You’ll feel better at the end of the day knowing you at least got 3 important things done. Morning News – While it’s good to stay abreast of the latest happenings, you’ll do yourself a huge favor by missing out on the more upsetting things that have happened overnight. By lunchtime the biggest news will have made it to you, and if it’s something really big you can catch yourself up on the Internet in a matter of minutes. Big Breakfast – A big breakfast is not recommended, even if it’s balanced and full of healthy things. Your digestion is weakest in the morning, and bombarding it with a big load of food will only set you up for a sluggish morning. Unless you plan on doing some intense activity to burn it off, stick to a light breakfast and have a snack later if you get hungry before lunch. Stimulants – Many of us reach instinctively for a cup of coffee in the morning to get us going, or need an energy drink before we consider the day started. But these are just crutches that could be masking a lack of sleep or nutrition. Drop the stimulants and continue to make positive changes until you don’t feel you need them anymore. Sleeping In – These are morning *rituals* we’re starting here, and you can’t expect them to change your life unless you stick to them religiously. Taking the weekends off of your routine is a sure way to disrupt the good habits you’ve formed during the week, and regress to your old ways. Stay the course, even on the weekends, and you’ll reap all of the benefits. Thanks to creatorcourse for this article.